Last week CHCACT hosted the semi-annual IT Directors Meeting. The group is made up of the IT Leadership from each CT health center. During these meetings the team has the chance to discuss the current challenges at their health center and offer solutions to their colleagues. 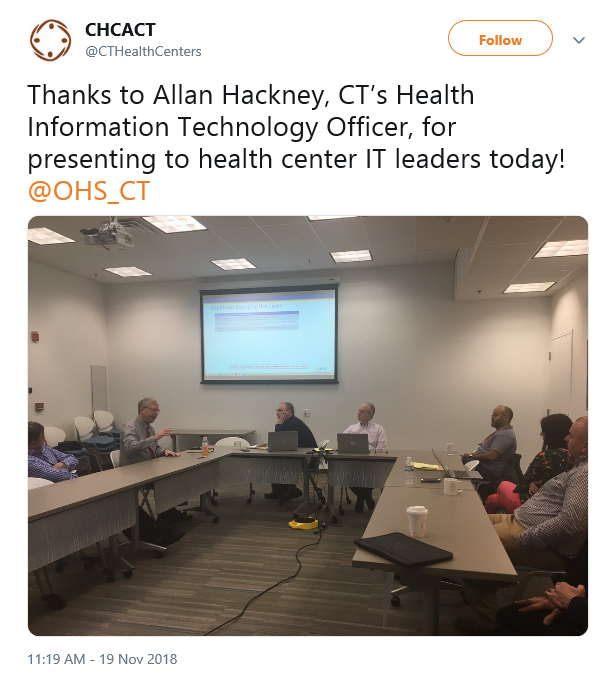 This meeting was especially interesting because Allan Hackney, CT’s Health Information Technology Officer, presented on CT’s Health Information Exchange (HIE) strategy. The HIE will be important to the CT health centers because the complete picture of the patient will help the Care Team decrease health disparities. The effort is funded by the State Innovation Model and is focused on deploying various applications that will promote better population management and health outcomes. For example, CT just released a statewide Immunization Registry that will be bidirectional. This will help health centers and other providers identify patients due for vaccines, regardless of where the vaccines are received. The State Innovation Model is a promising opportunity to leverage the current CHCACT health center data warehouse to contribute to this effort. There be opportunities in the near future for health centers to be early participants in the HIE. Rob Rioux, CHCACT’s Network Director, and a few health center IT Directors participate in various design groups for the Health IT Advisory Council. It is important for the health centers to have representatives at the table because CT Health Centers care for almost 400,000 patients each year – more than 1 in 9 CT residents! From a data perspective, the HIE will provide also provide a significant amount of health data that can be used by Connecticut to drive statewide initiatives, drive research and ease the transition of care for patients among multiple settings. 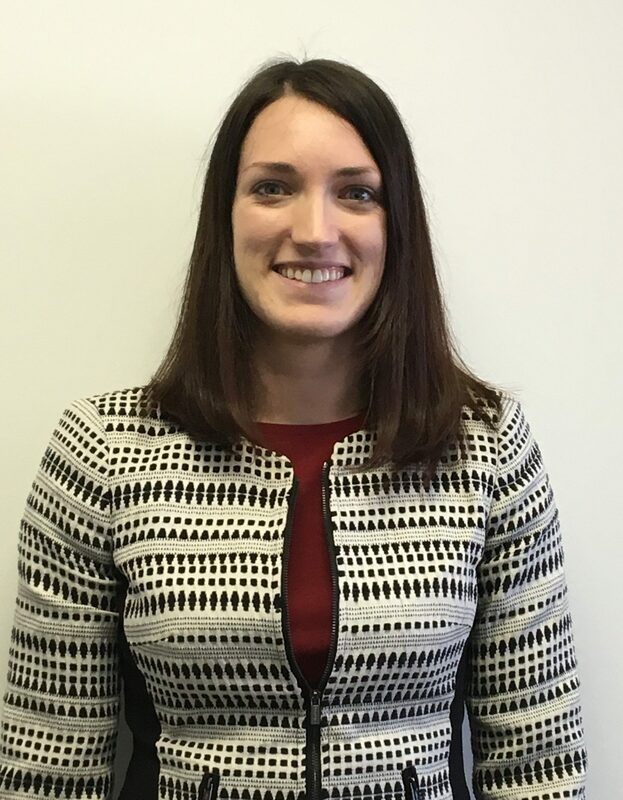 If you would like more information on CHCACT’s data initiatives, contact me! 11.20.18 Kaiser Health News — Buyers of Short-Term Health Plans – Wise or Shortsighted? 11.25.18 NY Times — This City’s Overdose Deaths Have Plunged. Can Others Learn From It?